I've always had the toughest time doing my own nails! 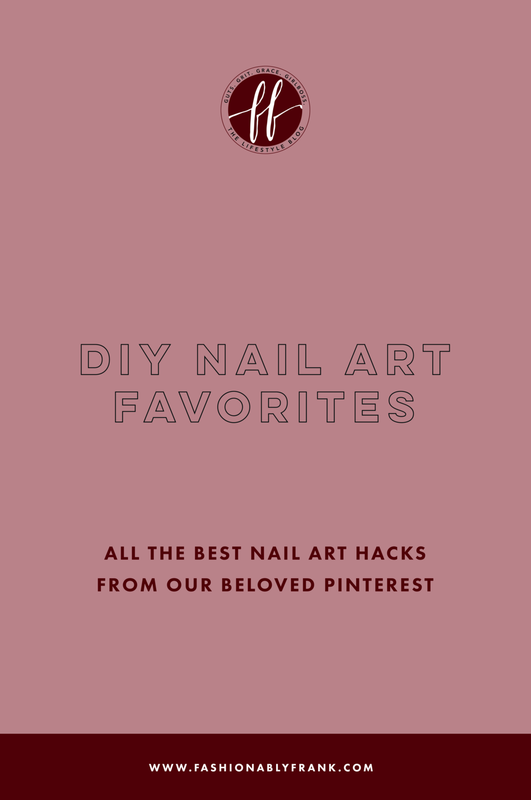 Especially when it comes to DIY nail art from Pinterest. I feel as though I have no direction and no good ideas. And when I do have a good idea, I might be able to execute it with practice, but I never quite get the perfect nail inspiration! I've done several Pinterest themed posts on the blog before; I love the variety and creativity that you can find and it always gives me tons of DIY ideas! These nail posts give you inspiration, instructions and the kick we need to give ourselves some glam, cute nails! I love the color combo and I didn't know it that easy to give yourself nails that look so cute and complex! I've used this one myself and it totally works! It's the clumsy-handed girls' best friend. This one would be so cute for your next holiday/seasonal party. I had a friend that would do this all the time and I would love to print out words from my favorite book and have them on my nails! You could totally put words for a bachelorette party or another special occasion using this similar technique. I love this color combo, it would be so cute for a date night out! What cute nails for clubbing or just hanging out! The design ideas here are endless. 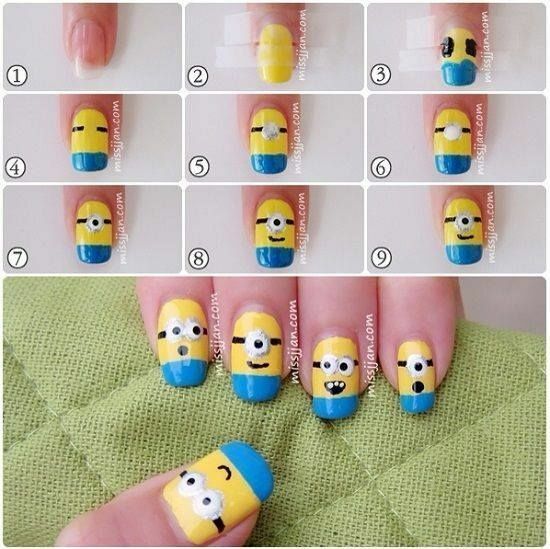 This one looks more complicated, but if you have the patience and time willing, you can totally paint little minions on your nails. As you can tell, even the faces in this example aren't perfect. Another skilled one, but it looks a lot less complicated. Even I think I could do this one! I love the idea of this one for summer and you could do other designs with the same colors. I've done this one before. It's easier than it looks and the payoff is some seriously amazing art. 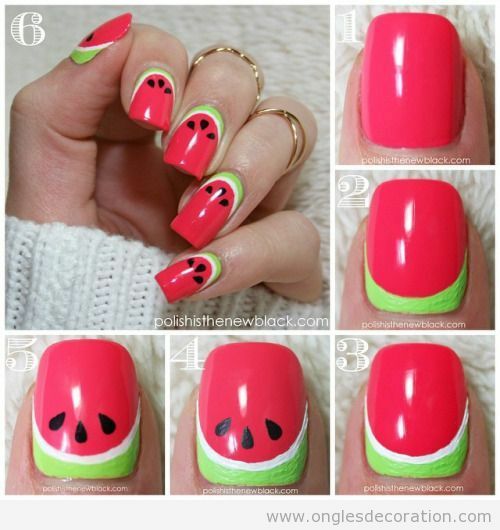 I'm totally trying this next time I buy polish - it looks so colorful and fun! These look so cute and simple and I love the polka dots. 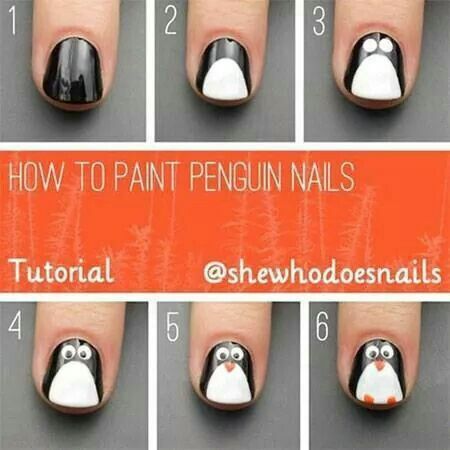 Which DIY nail art would you try?